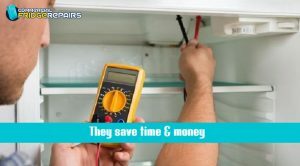 If you have broken commercial refrigerator or one that is not performing up to the mark, that’s undoubtedly a reason for you to spend sleepless nights. And why not? It’s after all, affecting your business and resulting in a reduced footfall of customers at your facility. 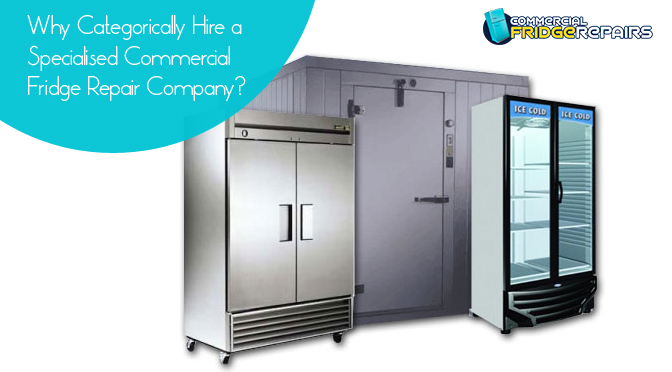 You need to scramble for a company that is specialised in repairing commercial fridges. But why only the ones that are specialised to deal with the commercial variety? Does that make any difference? Of course, it does, and that’s the reason you need to bank on reputed companies like Commercial Fridge Repairs, who are unparallel when it comes to taking on commercial refrigerator issues. Trying out the DIY stuff is not an ideal one in these cases, as it will make you lose more time that will translate into more financial loss subsequently. Hence, you need to take the help of the specialised personnel, with years of relevant experience under their belt. This will ensure that the quality of work is maintained at the highest level, which results in a quick and easy solution of the problem. Hence, it will help you save time as well as money for your business. That’s the difference a specialised company will make. But then again, the commercial fridge repair company you opt for needs to be one of the best names in the business. Another benefit of hiring these companies is that they not only provide the repairing service but also come up with invaluable advice about the ways to use the device in the best way to ensure it delivers optimal effects. Every prominent company has dedicated staffs that not only take care of the appliances and service them but provide tips to the clients about how to handle the devices properly. In fact, that’s what makes differentiate a quality company from an average one. Here is where companies like us make a substantial difference. These are heavy duty appliances, which need dedicated electrical connections to function. Hence, fixing these appliances can be dangerous for those who are not specially trained to handle them. 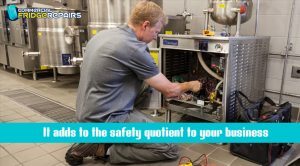 Every technician of companies that are into commercial refrigerator repair is expert and hence is best placed to take on the issues, address and solve them. In fact, that’s why you need to seek the assistance of quality and reputed company that has been into this business for a considerable period. These reputed companies come up with certain value additions, which make a lot of difference. Amongst other things, these value additions come in the form of service warranties. On most of the occasions, these warranties ensure that the service that the company is offering is of the best quality. Thus, as and when you hire an expert, you can be ensured about the fact that in case of any eventuality the company will take up the responsibility of solving the issues. That makes it clear why it is so essential to hire a specialised company. That also makes clear, why we at Commercial Fridge Repairs are one of the best names in the realm of commercial refrigerator repairing.